Lovely Amethyst egg carvings, usually around 50MM tall. They are nicely formed, and a lovely shade of purple. They’d look amazing with light shining through them. 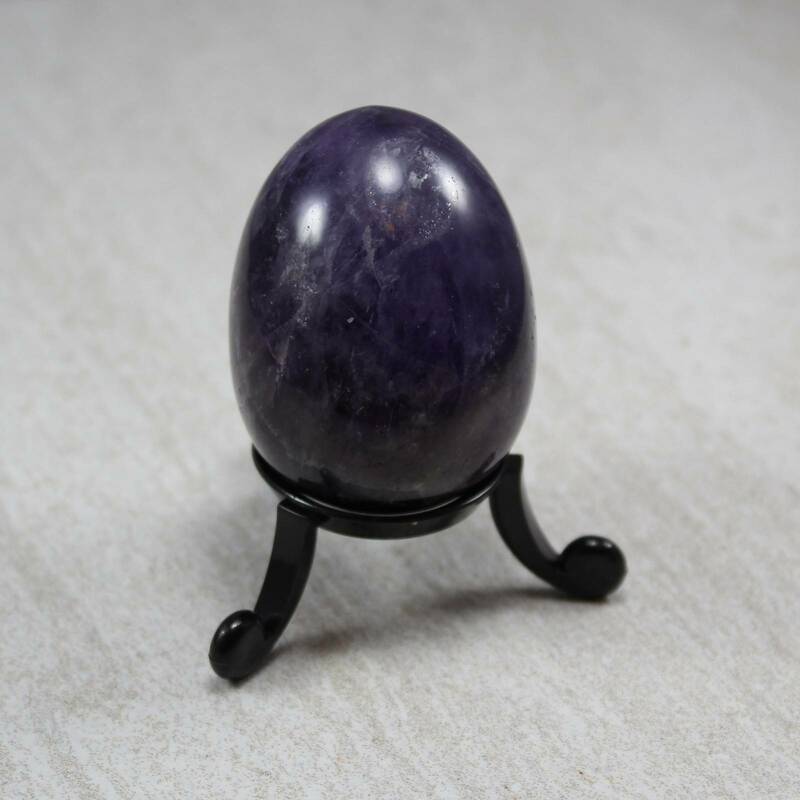 Our Amethyst Egg carvings all come with a free egg stand, which can be seen in the picture. This lets you use the piece as a display straight away – no need to find somewhere to balance it. We sell a wide range of Amethyst products, including rough crystals, crystal clusters, carvings, polished stones, and jewellery related items, such as cabochons. Please see our Amethyst section for a list of these products, and more information about the stone.